Stories have become synonymous with books so it is easy to forget that books are just one technology for storytelling. With digital technologies ubiquitous and growing more sophisticated will the book simply fade away? It’s hard to say, but storytelling is certainly undergoing a dramatic makeover, with so-called electronic literature paving the way. Over the next six pages, writers, scientists and artists consider the future of the story. You might think electronic literature comes in the form of an e-book you download onto your iPad or Kindle but e-books are just print texts reproduced in digital form. True electronic literature could not exist within the pages of a printed book. Indigenous to the computer, it is often written in its natural language of computer code. The Electronic Literature Organization describes writer Talan Memmott’s work, for example, as “a creole of human language and code… a work in which the functioning and malfunctioning of the interface itself carries as much meaning as the words and images that compose the text”. Hypertext fiction, for instance, is a non-linear story that the reader navigates through by clicking from link to link, becoming an active participant in the storytelling. Another sub-genre is interactive fiction (IF): in which a computer program narrates the story through text and the reader drives the plot by typing in commands. In digital fiction, hypertext may be embellished with multimedia components such as sound, graphics and animation, creating a unique experience quite unlike traditional genres of literature, music or film. The result is stories that can change over time, written, as electronic writer Andy Campbell puts it, on a “liquid canvas”. Electronic literature even moves beyond the 2D screen, flourishing in so-called Cave virtual reality simulators (see “Adventures in a virtual reality cave”). Inside the Caves, readers equipped with motion-tracking devices can wander through and interact with 3D narratives. These new technologies have the potential to change our understanding of narrative itself. Nick Montfort, an IF writer and professor of digital media at the Massachusetts Institute of Technology, is creating software that allows IF programs to manipulate narrative in increasingly complex ways. Embedding every possible iteration of narrative structure into computer code requires him to formalise narrative theory in an unprecedented way, perhaps leading to narrative structures we have yet to imagine. 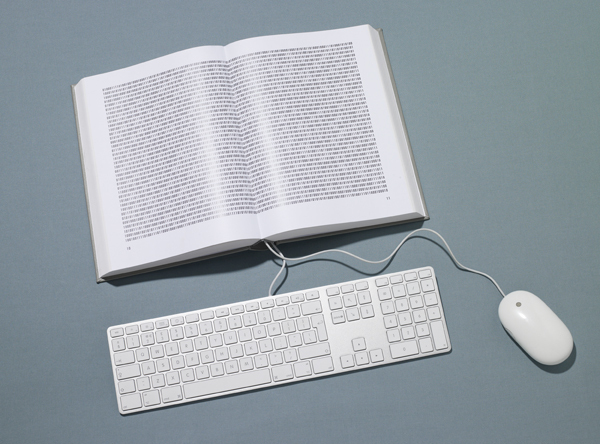 E-literature may even change the way we see ourselves. Neuroscientist John Bickle explains how our brains create our sense of self through narrative. As cognitive scientist George Lakoff puts it, “Narratives…are instantiated physically in our brains. We are not born with them, but we start growing them soon, and as we acquire the deep narratives, our synapses change and become fixed.” Will new narratives lead to new selves? It remains to be seen how storytelling will change – and change us – as literature inhabits these technologies. But one thing’s for sure: it’s an exciting time to be telling a story. CultureLab’s Storytelling 2.0 special explores the transformation of the story as it migrates from the printed page to the screen. Artists, critics, scientists and writers are all talking about the power and implications of electronic literature – but there’s nothing quite like experiencing it for yourself. Here is a selection of some electronic literature pieces that I particularly enjoyed. From classics to the very latest, they run the gamut from hypertext to multimedia to interactive fiction. So what do you think? Do these works represent a novelty genre or the future of literature? State-of-the-art neuro-imaging and cognitive neuropsychology both uphold the idea that we create our “selves” through narrative. Based on a half-century’s research on “split-brain” patients, neuroscientist Michael Gazzaniga argues that the human brain’s left hemisphere is specialised for intelligent behaviour and hypothesis formation. It also possesses the unique capacity to interpret – that is, narrate – behaviours and emotional states initiated by either hemisphere. Not surprisingly, the left hemisphere is also the language hemisphere, with specialised cortical regions for producing, interpreting and understanding speech. It is also the hemisphere that produces narratives. Jay Bushman is a “story hacker” and producer of “Twitter theatre”, whose work marries storytelling with new technologies. He recently created a Twitter adaptation of The Empire Strikes Back. But he has also adapted weightier tomes: the Herman Melville novella Benito Cereno and a modern rendition of Spoon River Anthology in the form of a group blog. He is also planning new versions of Austen and Shakespeare. I caught up with him to find out what it’s all about.